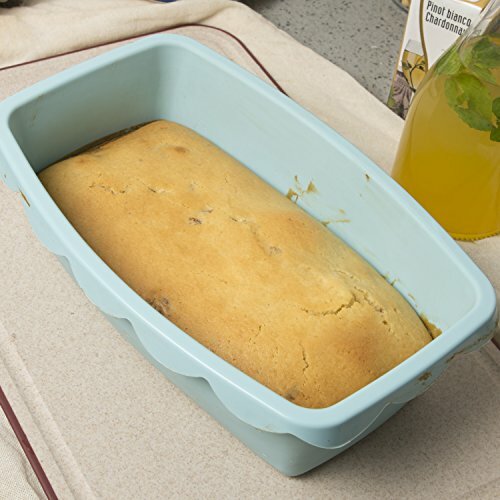 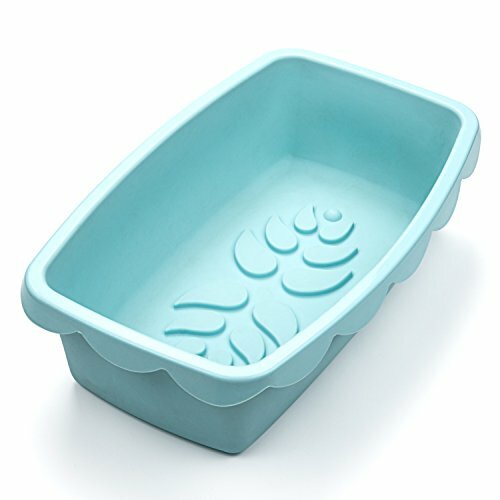 100% SAFE MATERIAL - This rectangular loaf pan is made of 100% food grade silicone, FDA & BPA free. 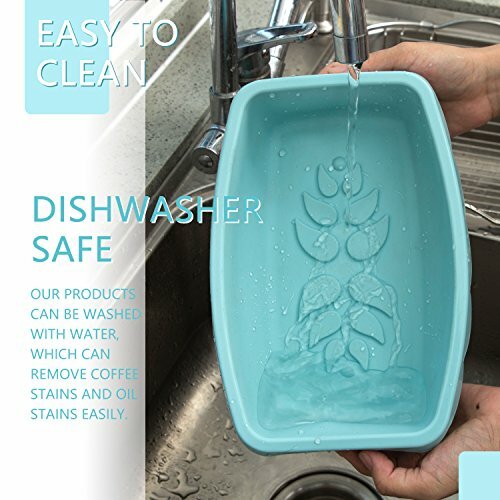 It is safe for your family and good for the environment. 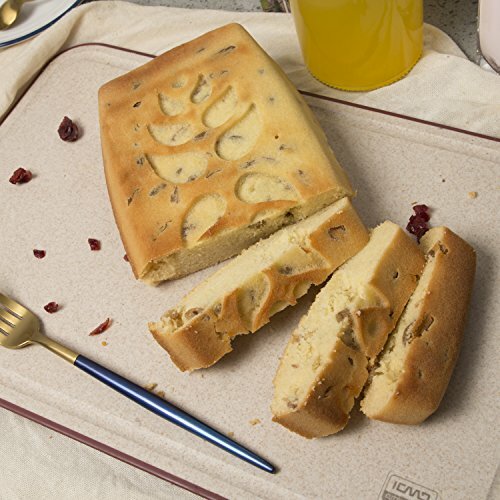 NON-STICK & FLEXIBLA - The flexible silicone and non-stick surface make it release the loaf, bread and cake easily. 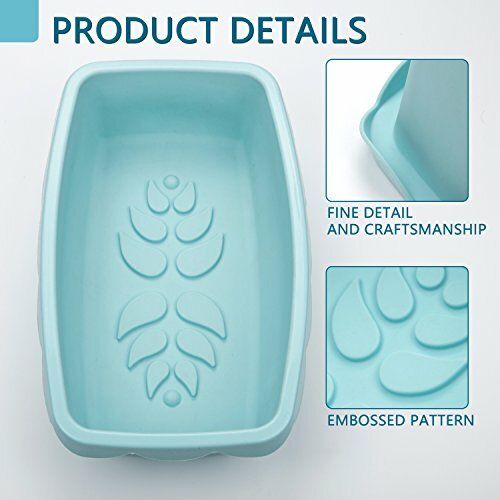 OPERATING TEMPERATURE - Microwave, oven, refrigerator, freezer and dishwasher safe. 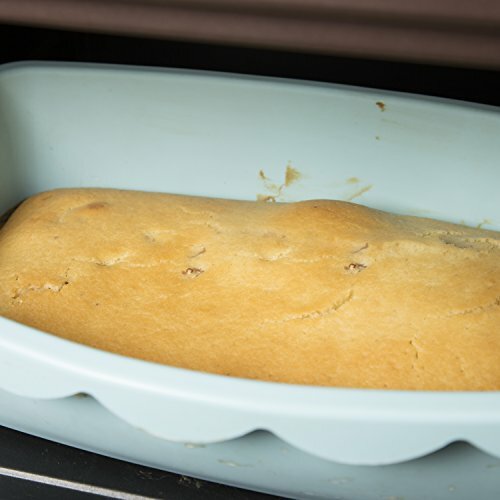 Temperature Safe from -40°F to 464°F. 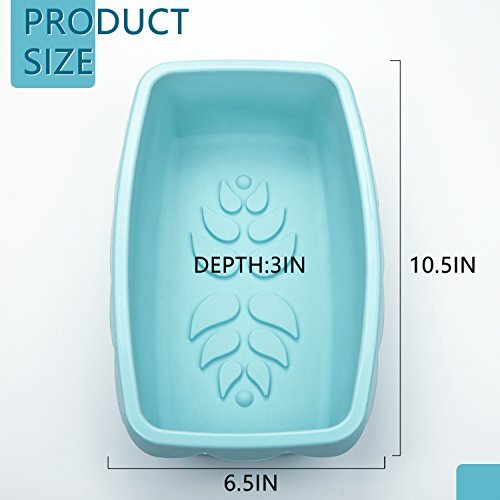 Mold Size: 10.5 x 6.5 x 3.0 inch. 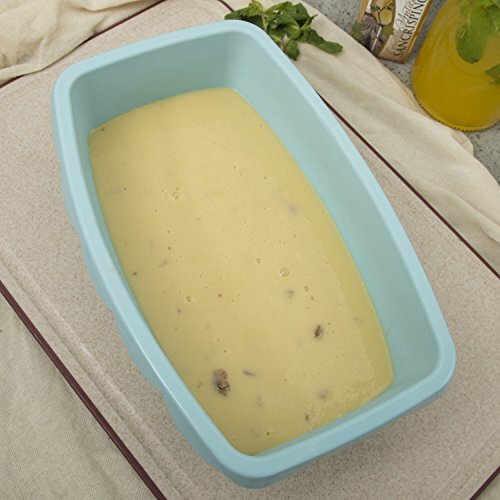 Ideal size for cake, bread, quiche, meatloaf, lasagna, pot pies and more.